He reveals this in an interview with the Daily Mail’s Event Magazine which says, he wasn’t told face to face about adding Jo Whiley as co-host on the drivetime show. “It was not how I imagined the end of my career at Radio 2 would work out! I certainly had no intention of going anywhere. “I had thought I would stay there until I was 94, then retire and drop dead. But it didn’t work out like that, so it was an uncomfortable period. Asked if he’d considered leaving straight away, he said, “Yeah. There’s an inevitable thought: do I throw the toys out of my pram at this point, or do I hang on? “But before I got to that I made the suggestion that if they were serious about it, they would have to have someone like Jo Whiley in mind, because she’s a proper broadcaster. Both Mayo and Whiley are respected broadcasters in their own right but being put together as joint presenters on Radio 2’s drivetime show didn’t work very well. One of the features in his new show has been confirmed as Confessions, a hugely popular feature which has been with him since his days on the BBC Radio 1 breakfast show in the early 1990s. It features listeners’ confessions, often funny and sometimes controversial, about something they’d done and wanted to get off their chests. There was also a successful Confessions book and a BBC TV series which wasn’t as popular as the radio version. 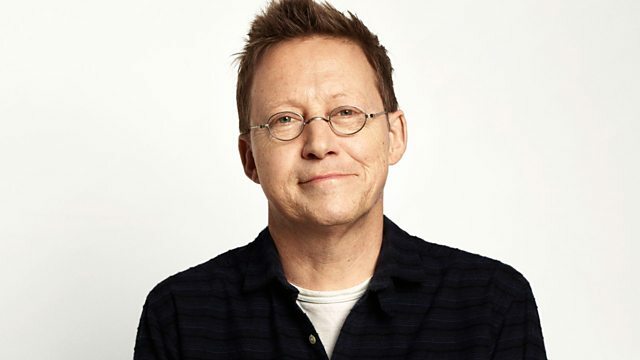 Scala Radio launches on Monday 4th March with Simon Mayo presenting the 10am – 1pm show. It promises to be somewhere between Radio 3 and Classic FM. Other presenters lined up include Angelica Bell, Mark Kermode, former LBC newsreader Chris Rogers, Charles Nove, Sam Hughes and ex Classic FM presenters Mark Forrest and Jamie Crick. DJs Goldie and William Orbit will also host their own series. As for Simon’s knowledge of classical music, he tells Event Magazine, “I was brought up on Gilbert and Sullivan, my father was a fan. When I was a kid, I knew all the words to The Nightmare Song from Iolanthe. I don’t any more! I cannot wait to hear Simon Mayo again, really miss him on the drive home and all the times I had to pull over because the Confessions had me in fits of laughter. But….. Is it gonna be easy to get Scala anywhere in the UK or is it being regionalised. I find that a lot of so called National coverage DAB Stations have very poor reception areas, especially here in the Thames Valley. BBC radio have lost the plot with millennial snowflakes running it and when diversity targets supercede listeners choices. LOL. Which millennial are these then? Last I checked it’s still middle aged white men…. Whoever is running it , they seem to have no idea who their listeners are or what they want. I dont think so if you look at the roots of the music they make… pete tong next? You’re dreaming. Even the ones on Sara Cox are children. The sooner bbc Radio is toast, the better. Smug, overpaid arrogant nothings…get them out. Simon Mayo is fine as a weekend local radio presenter. I am amazed at how far he went at radio 1 and radio 2. I dont know why his show with Jo ended but in all fairness it should have lasted a lot longer. It is unfair on both of them really, it seems Simon basically pulled the plug himself but I am not sure if that is actually the case. He is more suited these days to this new station Scala which I hope attracts listeners including myself. if you are wondering why Simon Mayo went so far on Radio 2 try listening to the other clowns hosting shows (with the exception of Ken Bruce obviously). One of the high points of my day was divetime with Simon and his merry crew. He is a superb broadcaster who doesn’t to shout or give the impression that 6 cups of highly caffeinated drinks had been consumed moments before going on air. The programme was a joy to listen to. The behaviour of the BBC is beyond belief showing a total disregard of the views of loyal listeners amounting to monumental arrogance. I for one no longer tune in to the BBC early morning and early evening.. I wonder how long the likes of Ken Bruce and Steve Wright have before some pointy toed executive decides we, the listeners and licence fee payers, need a change.Now I am looking forward to March when Simon and Scala radio will be on air and goodbye BBC Radio 2. Am I the only one to think there may be egg on faces? Who really listens to that type of music for king? My worry is the effect it will have on him if it’s a car crash as I suspect it will be. He isn’t fully leaving the BBC, his film review show on 5 Live will continue. As for Radio 2 I doubt it unless there is a change of management. He only switched to Radio 2 in 2010 because he didn’t want to move his family to Manchester..
For Carnie and Sheenan to remain for long is unthinkable. They’ll be eased out. I was deeply sad to hear about the change in line up with Jo coming on board, I loved the way it was Doctor mosh the Kidd’s on the Friday phoning in asking for that song was so sweet. Jo is a brill broadcaster and I use to listen to her on radio 1 she dose not need anybody holding her hand, I she and Simon were all to often tripping up over whom was talking next and I could offer hear in there voices this is not working. So happy Jo got her own show once more but sad we lost Simon, but that’s the BBC for one big cockup after another. Like the houses of parliament on brexit a joke! But life go’s on. Apart from a few typos you are a man after my own heart. Hear hear. Radio 2 has made a lot of poor changes lately. I am now often switching to radio 6 when I encounter that latest new annoying presenter. The comment about having a ‘local radio presenter join me’! Seriously, some of them are far more with it than some of the Radio Two lot! Simon, Steve Wright and Ken B are still stuck in the 80s. Let some of the newer ‘Presenters’ have a crack at the whip! That comment of his was somewhat arrogant and out of touch IMO. Sure there are a lot of dreadful presenters on both BBC and commercial local radio (whats left of the latter after Global has done its best to destroy it), but there are an awful lot of good ones too, some of whom could put Mayo to shame. Also there does seem to be a certain whiff of entitlement coming off him, as if Radio 2 owed him a job. Its a professional industry, not a charity Mr Mayo. Individually Simon and Joe are great presenters but the BBC did this just to try to please all the people all the time and be politically correct. I’m sure it was embarrassing for Simon and Joe as it sounded like an ILR station. I wish luck to both of them and look out Ken Bruce! Cos you’ll be next. This was a neat way for Simon to plug his new station – (and as we thought the ‘I have to write a book’ flimsy excuse)…. …. would have been SACKED! As the BBC (liberally) use legally enforced licence fee ££ on all this they MUST become PUBLICLY accountable. In this story there is not ONE NAME of the ‘managers’ RESPONSIBLE ..
…and it seems Mayo was not even told to his face ! … and managers were NAMED in changes they introduced, and made accountable for them! Let me assure you that Tony Hall passes complaints to c services and bland stereotype emails were sent. Shennan is Carnies boss, Lewis Carnie that is. I think there’s been something happened we may never know about, a personal gripe against Simon. Maybe it rankled their precious egos that he was doing well as an author. The fact also that Lewis Carnie didn’t even have the manners and courtesy to speak to him directly says it all about Radio 2 Management. Wish him well in his new venture. Simon Mayo was first class from the start, the Radio 1 Breakfast Crew show was unmissable, good luck!